When I was thinking about appetizers for Thanksgiving I knew I wanted to serve a dip that could be eaten at room temperature. On holidays, I like my appetizers to be as simple as possible since you typically need the oven and stove for the turkey and side dishes. I found this recipe and thought it would be perfect since I could easily make it in advance. 1. Melt the butter in a saucepan over medium heat. Add the onions and stir occasionally, letting them caramelized, about 40 minutes. 2. Transfer the onions to a bowl and let cool for 30 minutes. Sprinkle with salt. 3. Stir the Greek yogurt, sour cream and lemon juice into the onions until combined. Taste to see if you need to add more yogurt or sour cream. 4. Transfer to a serving dish and sprinkle the top with cayenne pepper. Serve with vegetables, crackers, or chips. I couldn’t believe how fast this dip went. Everyone was gathered around it, dipping in carrots, celery and crackers. I didn’t think the caramelized onion flavor would really come through once it was cold, but I was surprised to find it did. 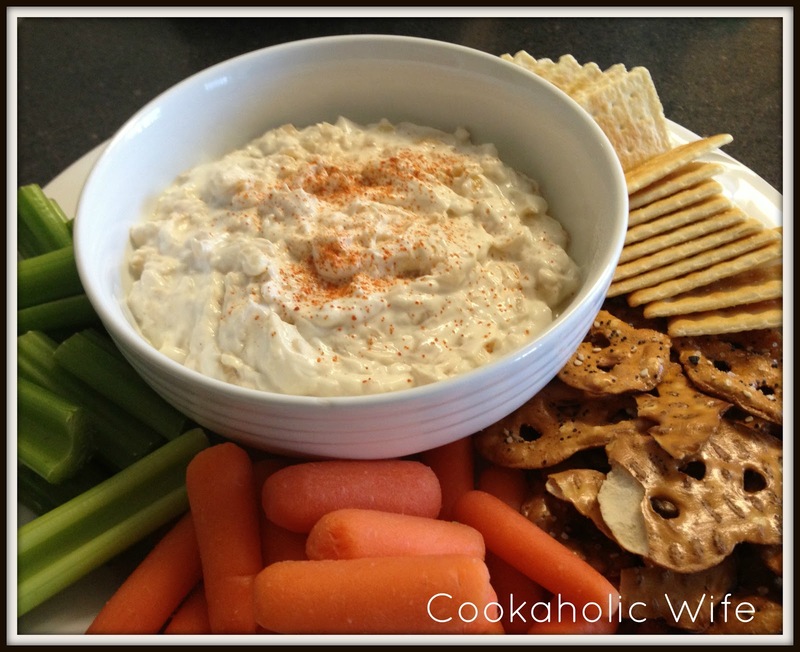 The little sprinkle of cayenne added just a tiny kick of heat to really brighten this dip up. This will definitely be added to the make-again list! So funny! Great minds think alike, I posted a caramelized onion dip recipe today, too! I love that yours uses Greek yogurt, makes it seem a bit healthier!